The kitchen is a prime space for grease, gunk and grime to build. Without proper care and upkeep, the function and appearance of your kitchen cabinets will eventually be damaged. These cabinet cleaning tips will keep your cabinets looking their best and also help maintain the investment of your kitchen. Whether it’s an indoor or outdoor kitchen, routine cleaning is a must for keeping your cabinets looking good as new. Different cabinet surfaces (e.g. stained wood, painted, laminated) will usually require different cleaning techniques. But no matter what type of finish you have, avoid using harsh chemical cleaners. These products tend to contain ingredients that have an abrasive effect and will potentially permanently damage your cabinets by stripping away the finish. Stick to the natural cleaning agents recommended for your particular cabinet finish and try clean your cabinets at least twice a week. Exposure to excessive moisture will wear away at the wood of your cabinets, causing them to rot over time. Splashes from over the sink, steam from cooktops, and wet towels hung on cabinet handles is a sure way to damage the cabinetry and cause mould and mildew to grow. Keep the moisture away as much as possible and tend to spills and damp patches as they happen to preserve your cabinet’s wood. Line the inside of your cabinets to prevent water damage. Ensure your cabinet doors and drawers are always shut firmly when not in use. Open passageways invite dust and dirt (not to mention little critters) to enter, creating an even harder mess to clean. Additional cleaning can easily be avoided by simply remembering to keep those cabinets closed all the way. You may also consider installing push-to-open hinges on your kitchen cabinets to ensure they seal completely shut at all times. While it might be a pain to clean those tight places in your cabinets, it’s essential you don’t leave them out of your routine cabinet cleaning. To tackle the build-up of dust and grime in your cabinet’s crevices, use either an old toothbrush or a table knife wrapped thickly in a microfibre cloth. You can also use a toothpick to clean between cracks and grooves. 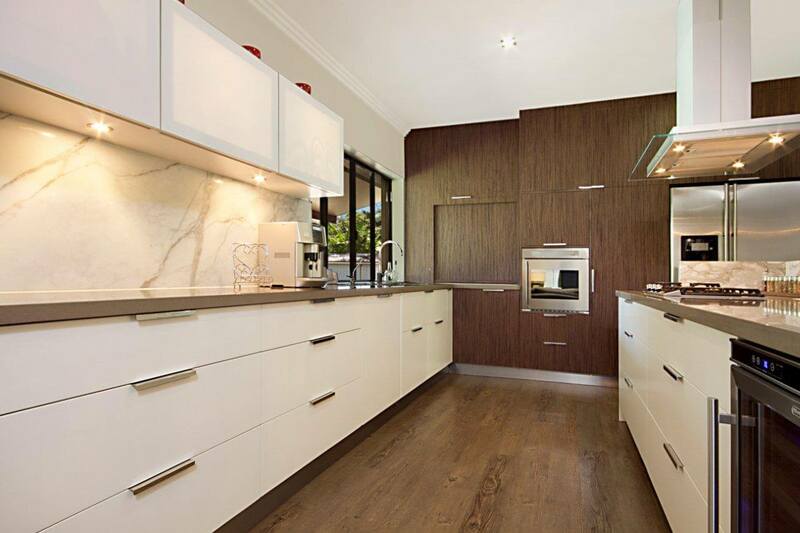 For outstanding kitchen cabinet makers in Brisbane, A&T Cabinet Makers is the only choice. Contact us to discover how we can transform your kitchen into a functional, stylish space to fit your lifestyle.